If you’ve been injured in an accident, from a dog bite or slip-and-fall incident, or another kind of incident, you’ve probably got an intimidating stack of bills and insurance paperwork, a lot of missed work time, and more questions than answers. How are you supposed to make your life whole and normal again? 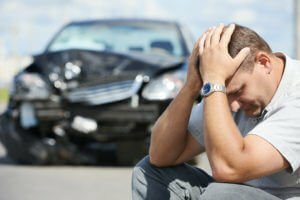 The Law Offices of Kevin Cortright can help you find your way through this confusing process and get you the maximum compensation for your injuries. Actual Damages – When you win your personal injury case, you’re entitled to compensation for all of the things that cost you money related to the incident: medical bills, ambulance transportation, vehicle or property damage, lost work time, and legal expenses, for starters. Punitive Damages – In some cases, if the person or business that caused your injury is found to have been negligent or it’s determined that they intentionally caused your injury, you may be entitled to punitive damages as well as actual damages. Punitive Damages are a court’s way of punishing the wrongdoer by making them pay money above the actual damages for the victim’s pain, suffering and emotional damage. Loss Of Future Earnings – If your injuries leave you unable to work permanently or long term, or unable to earn as much as you did before you were injured, you may be also able to claim compensation for the loss of your future earnings. How Does Hiring A Personal Injury Lawyer Help You? If the world were fair and everyone did the right thing, you wouldn’t need a personal injury attorney to represent your interests and keep you from being harassed, misled, or short-changed by greedy insurance companies wanting to settle your claim as cheaply as possible. In the real world, though, making a successful personal injury claim takes a lot of specialized knowledge and experience. When we work on an accident injury case, we examine every aspect of the incident and the impact on the victim’s life and well-being to determine what actions to take in protecting our client’s best interest. Our personal injury law firm will identify all of the liable parties and pursue every angle of compensation. We will make sure you get quality medical care and an accurate evaluation of current costs and future losses resulting from the incident. We will review and investigate all of the paperwork, including police reports, insurance documents, the insurance adjustor’s report, valuations, settlement offers, medical records, and bills. Personal Injury Attorney Kevin Cortright handles all of the details – anything and everything that might affect your ability to win a judgment that will appropriately compensate you for all of the consequences on your life. When you suffer an injury, it’s a frightening time. In addition to being hurt, you’ve got doctors filling your mind with way too much information and insurance companies hounding you to get you to sign off on a settlement right now. You don’t know yet whether you’re going to heal completely or if you’ll have health problems that will limit you in the future. If you’ve been injured in a vehicle accident, bicycle accident, or pedestrian accident, bit by a dog or hurt in a slip-and-fall accident, or any other incident, contact the Law Offices of Kevin Cortright for a free consultation. Call (951) 677-8064 or (760) 325-6900 today. We’ll help you sort it all out and tell you whether you’ve got a case for claiming compensation.